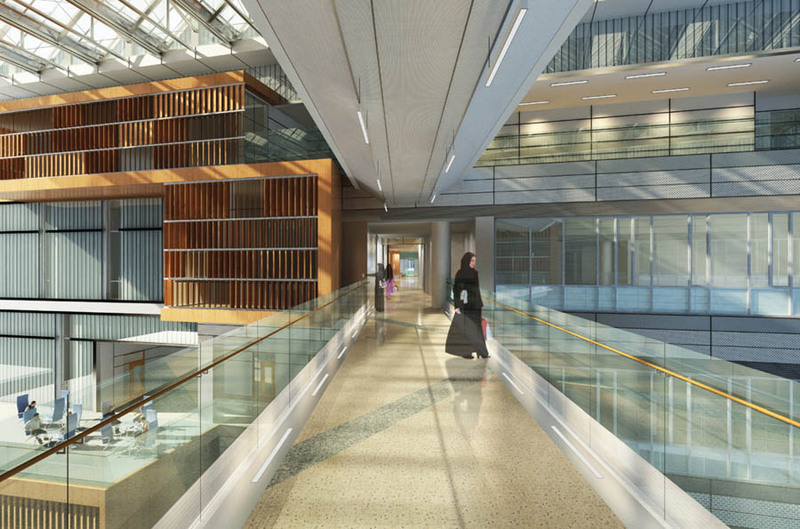 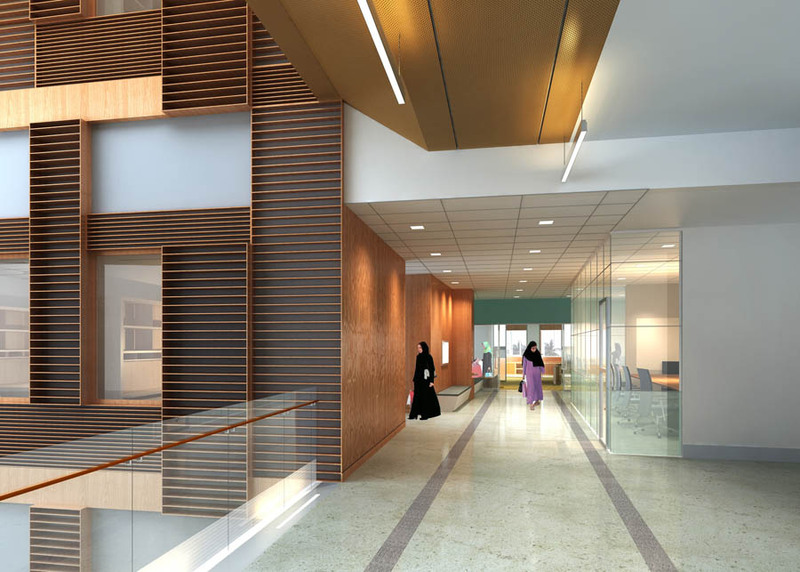 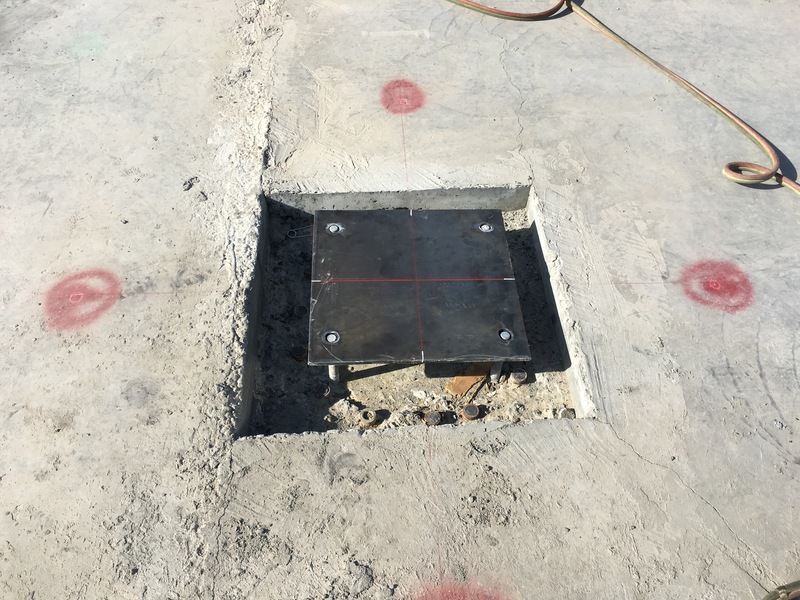 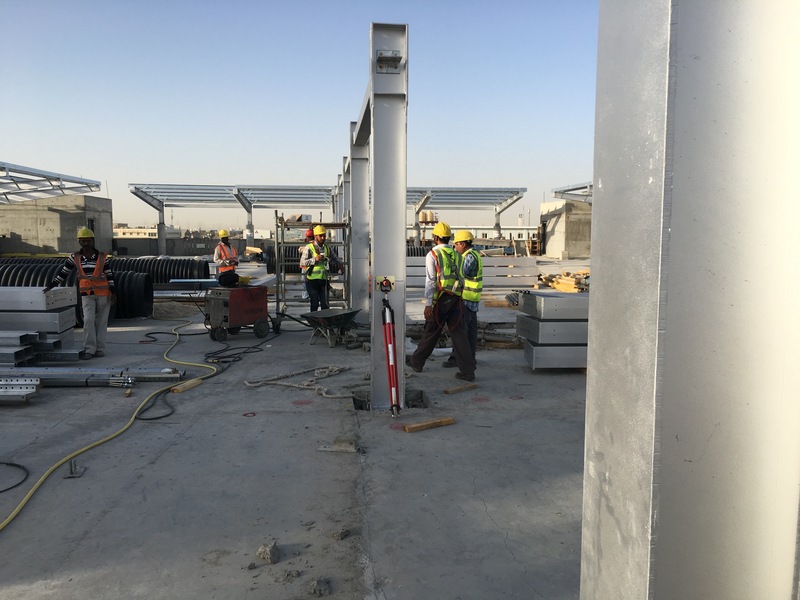 We understand that the success of a construction project, regardless of its size in budget or square footage, revolves around setting a strict schedule, professional team synergy and building close relationships with our clients. 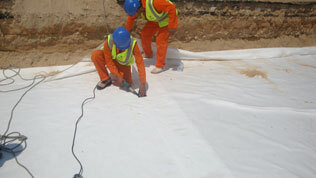 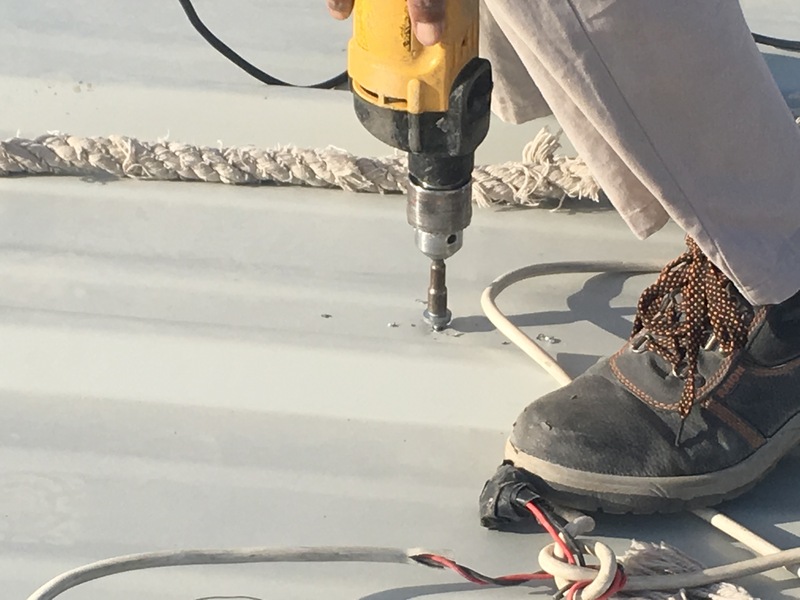 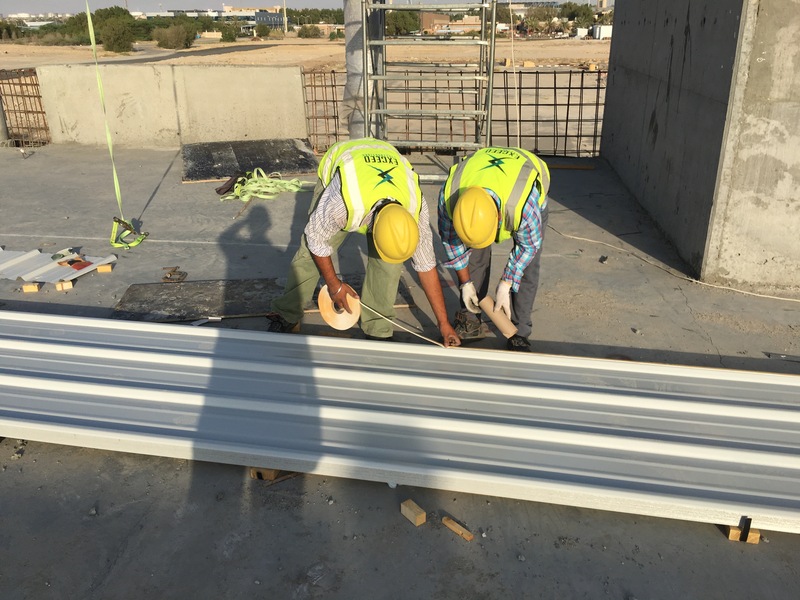 Our vigilant attention to our schedule and our exceptional ability to work with suppliers and subcontractors makes Exceed Construction's reputation what it is today; Solid and Strong. 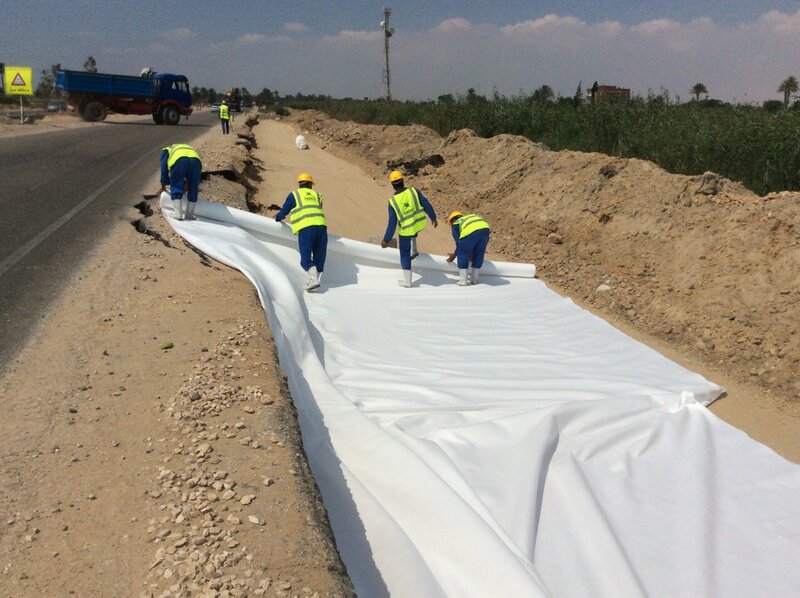 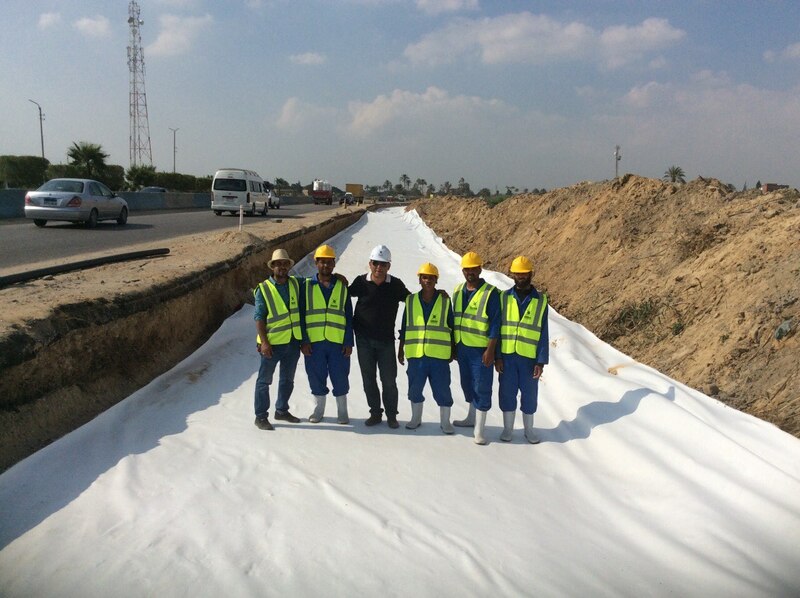 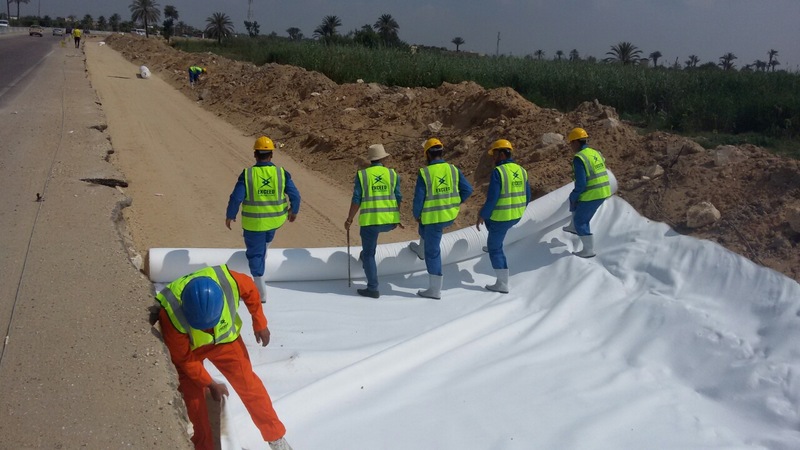 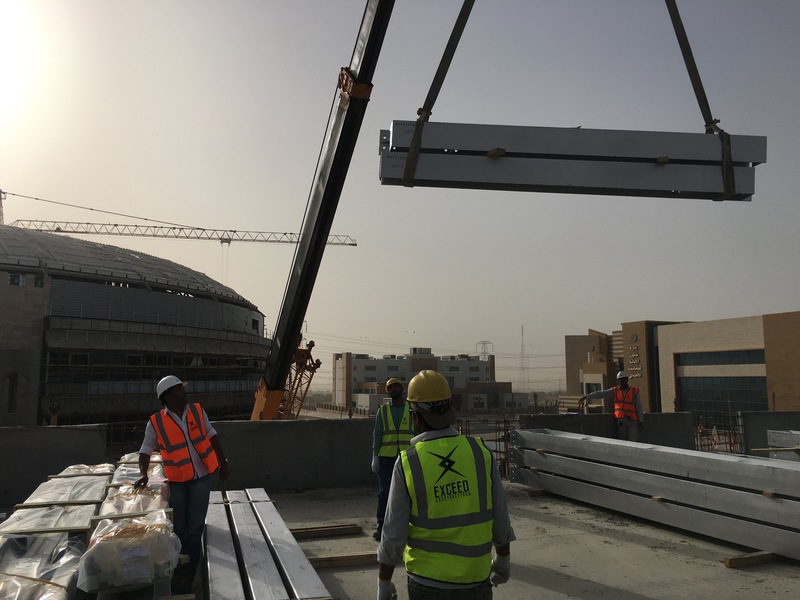 We take great pride in our relationships with our partners and suppliers that continue to provide excellent support throughout all of our projects. 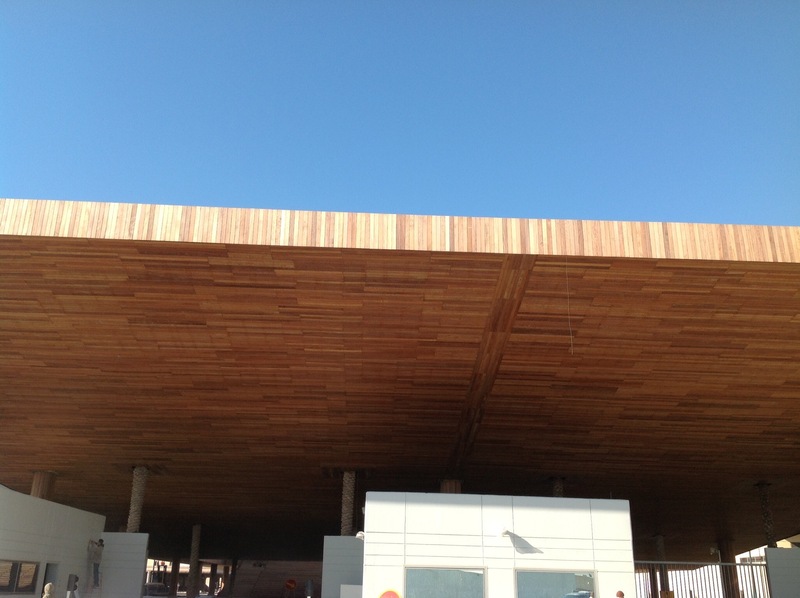 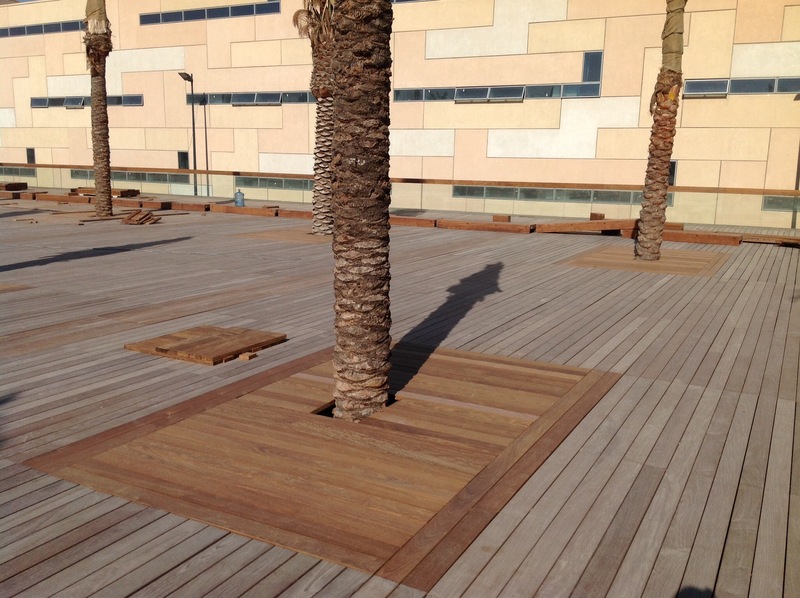 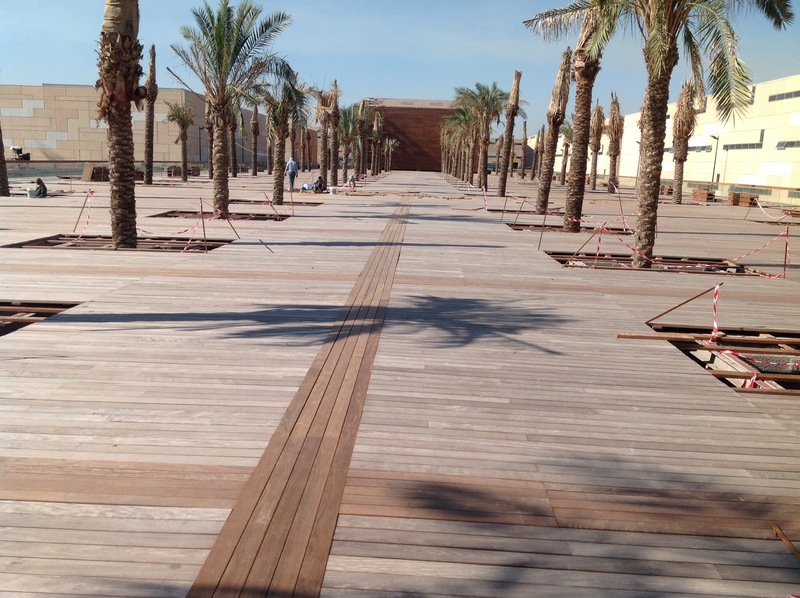 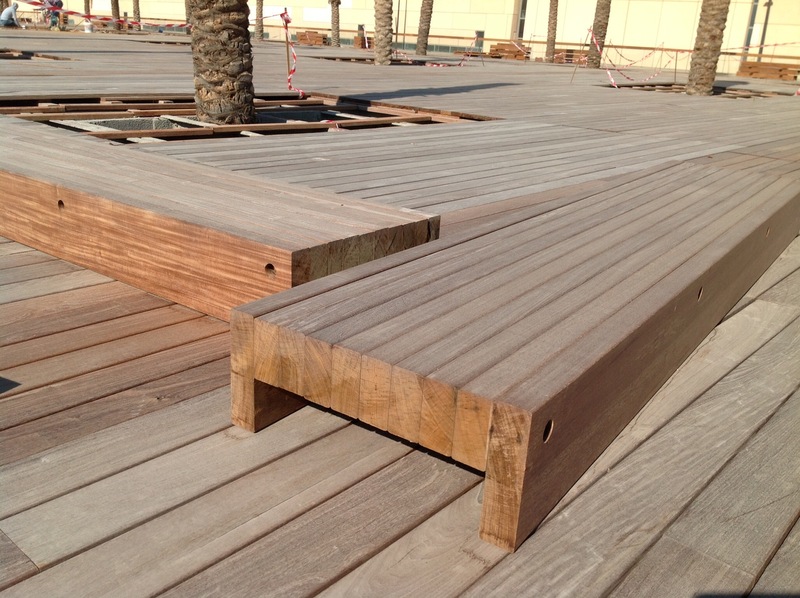 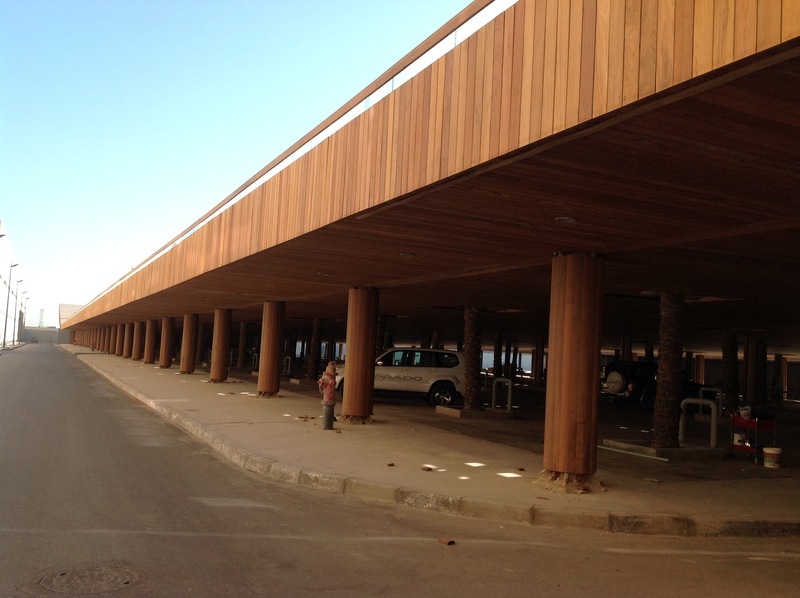 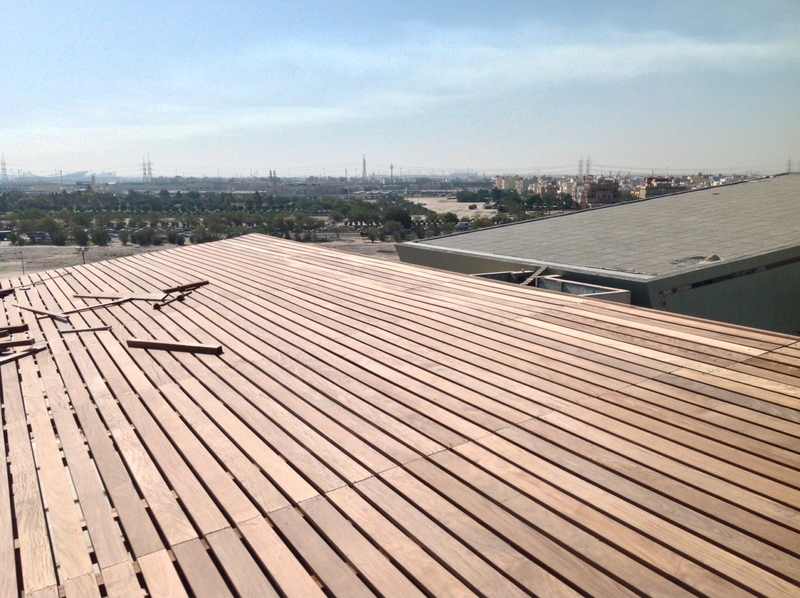 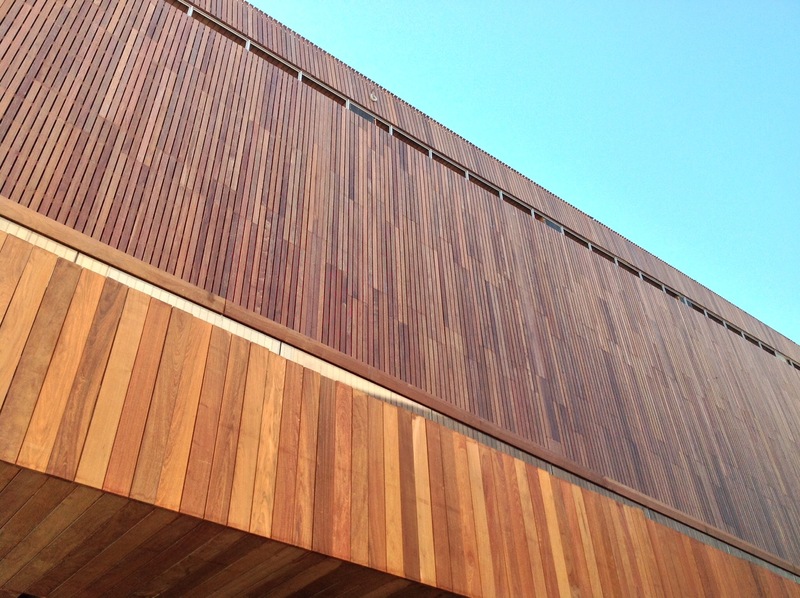 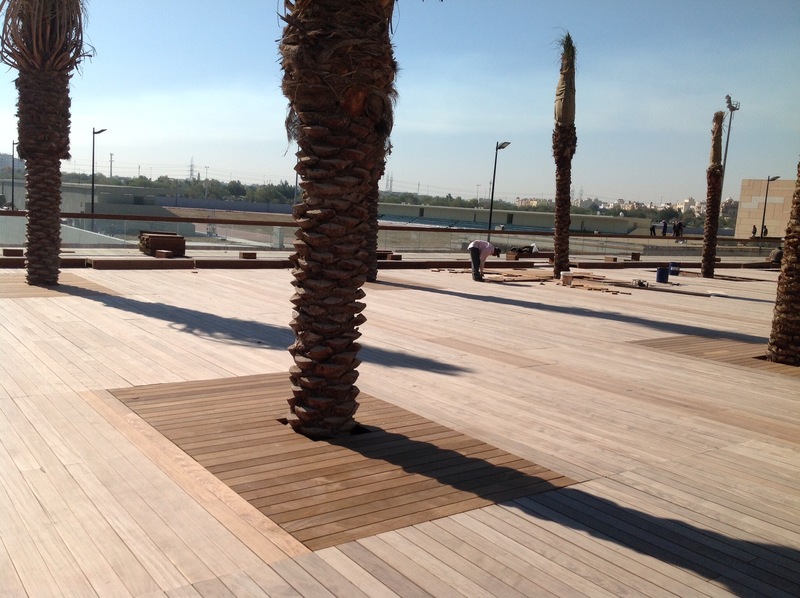 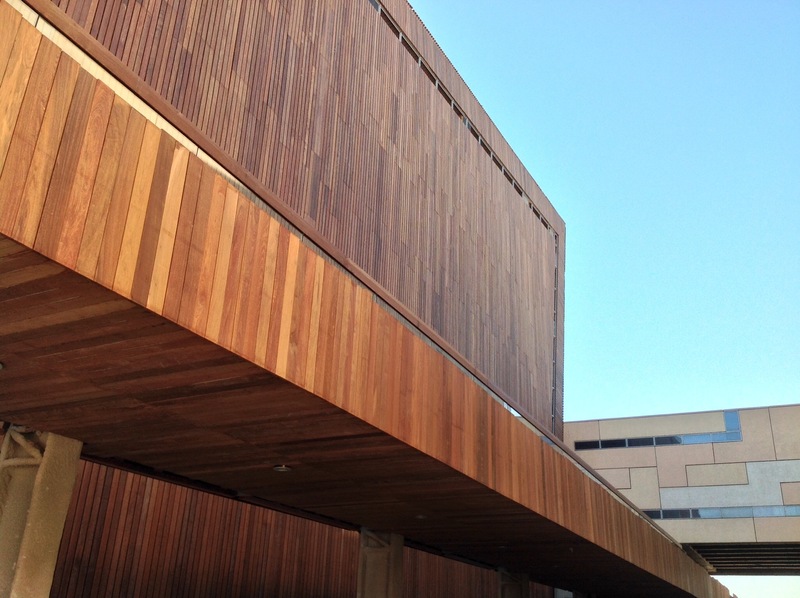 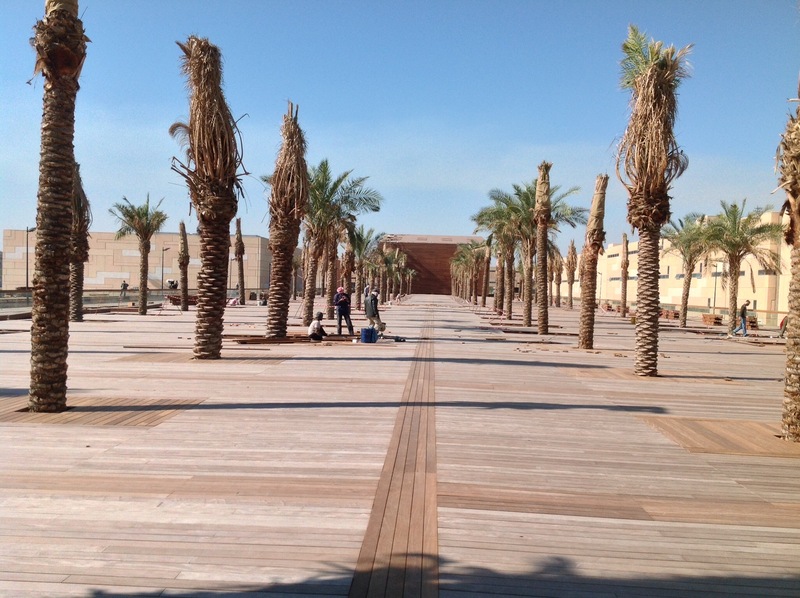 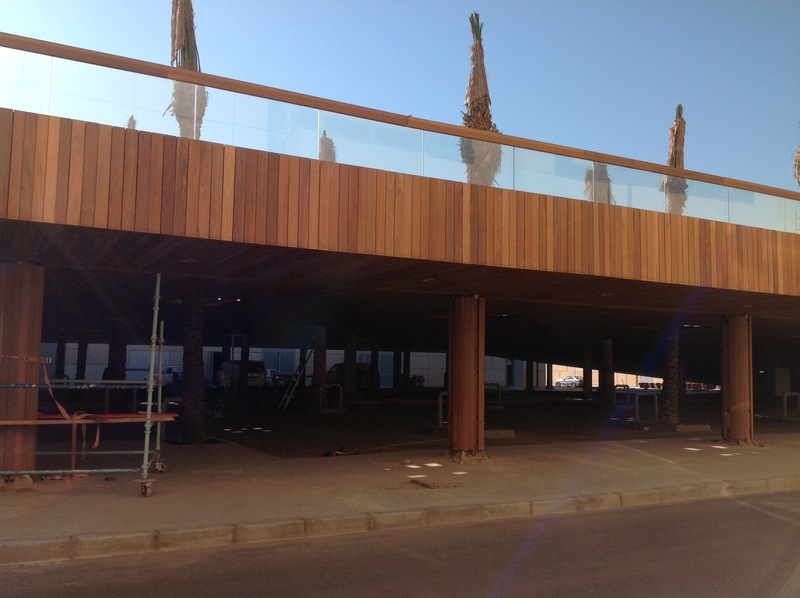 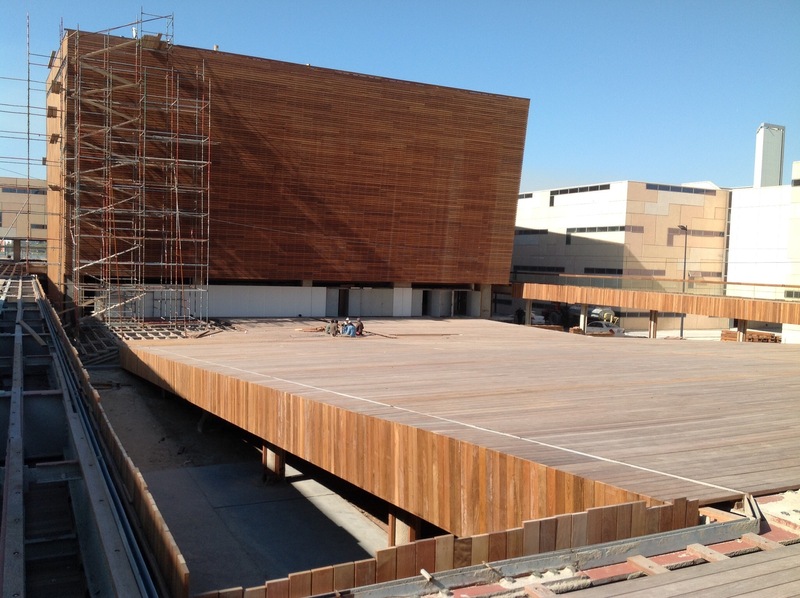 Supply, Installation, Erection and Supervision of IPE and all associated timber products from our professional and dependable supplier Venturer from Singapore. 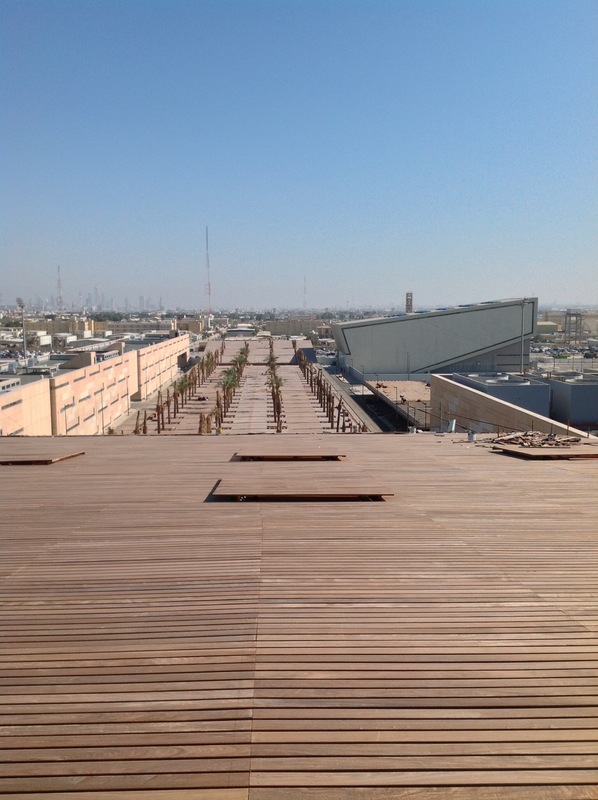 Project requirements included, decking, stairs, ceiling, flooring, benches and handrails for both interior and exterior purposes. 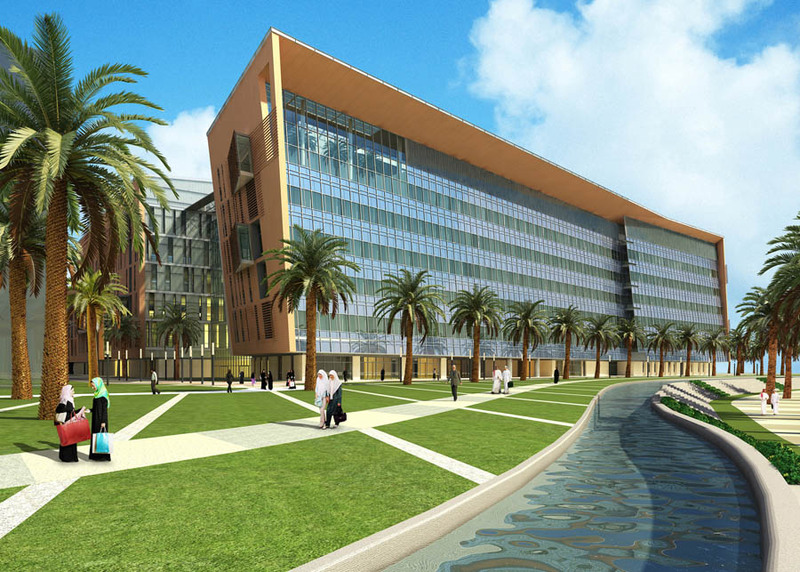 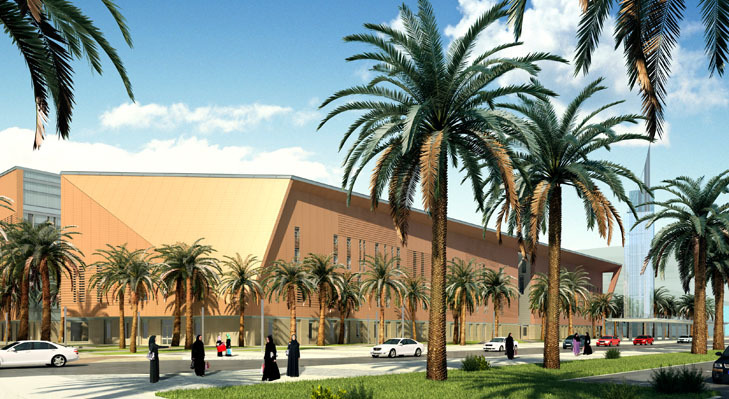 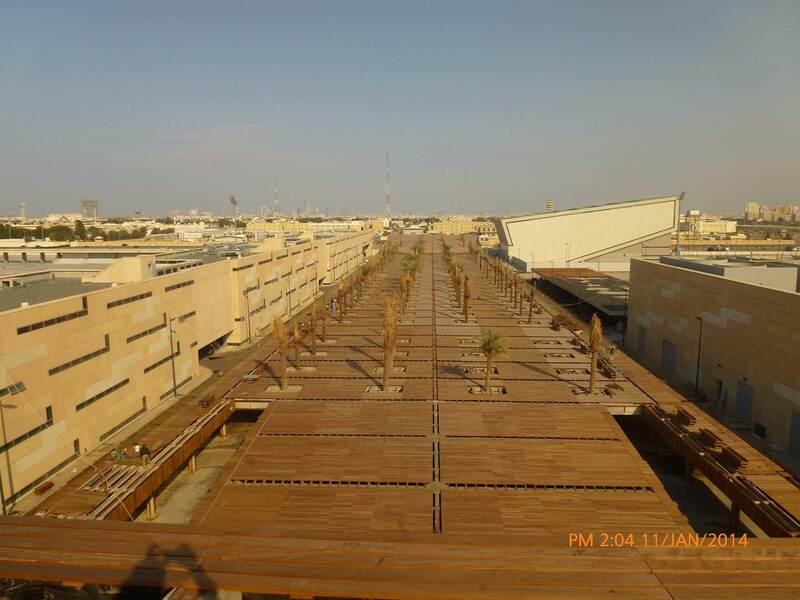 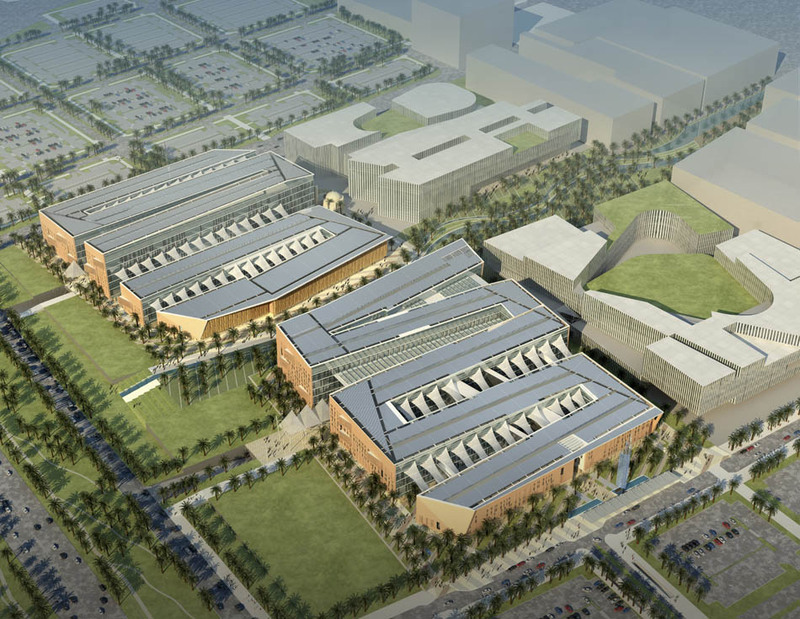 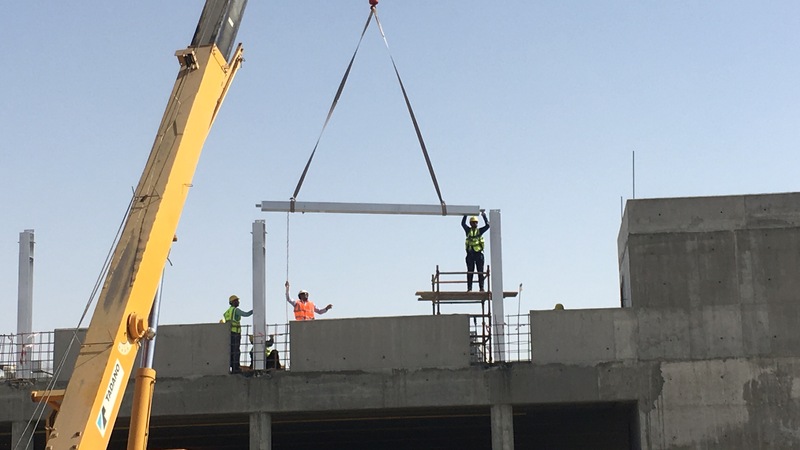 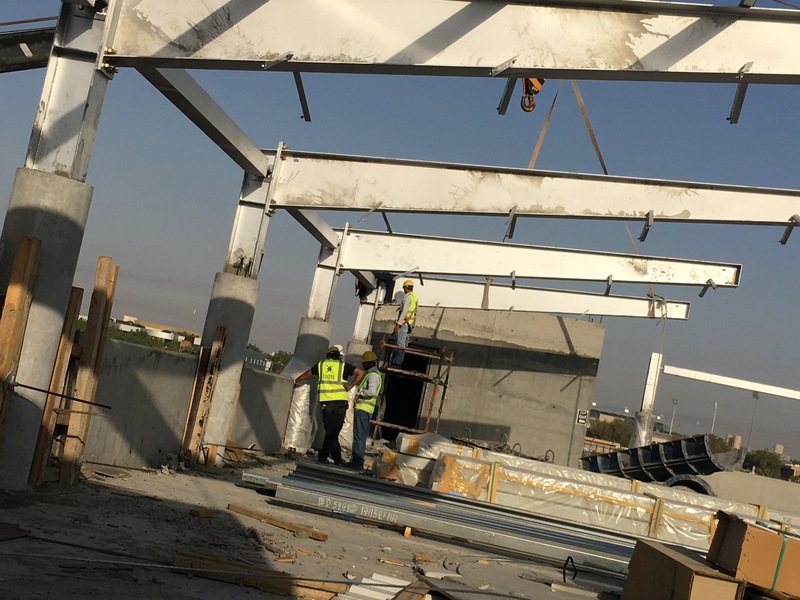 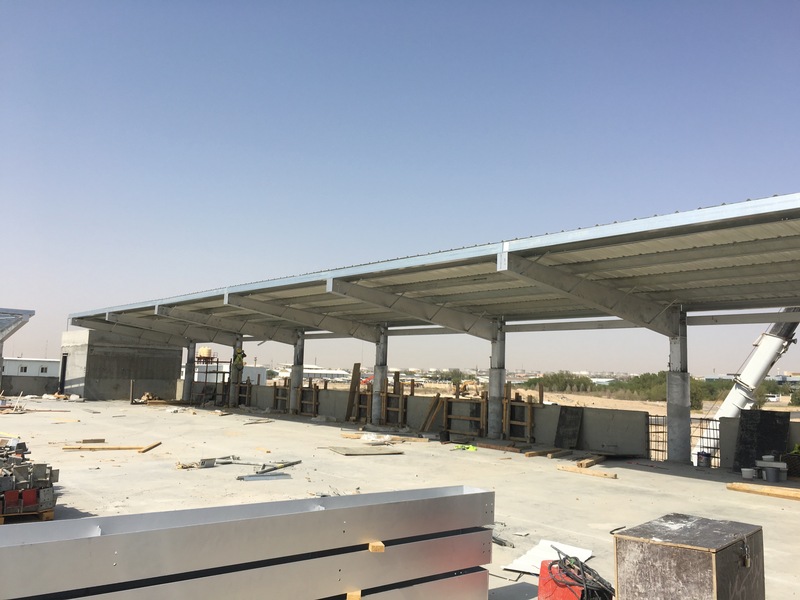 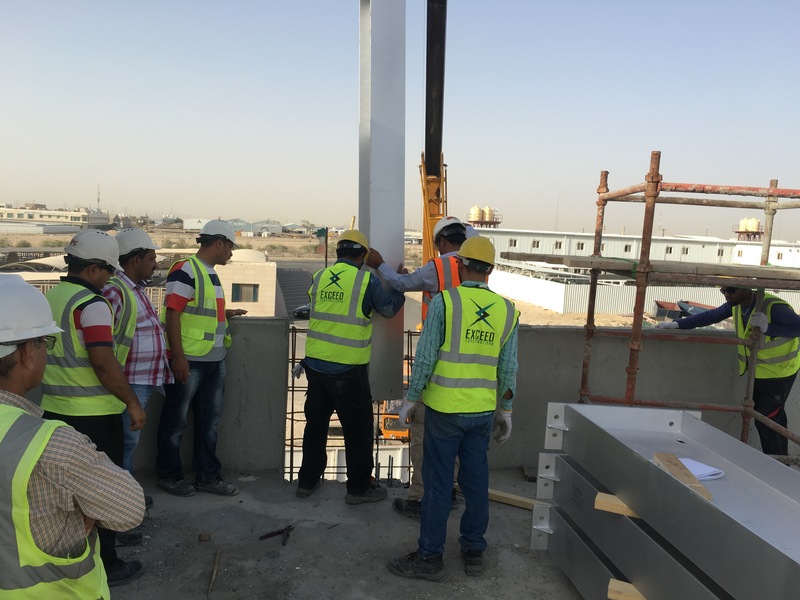 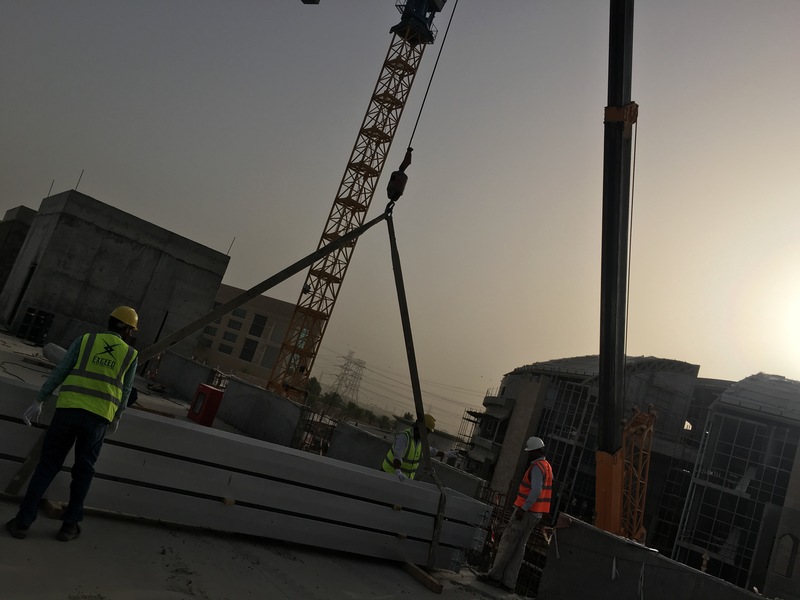 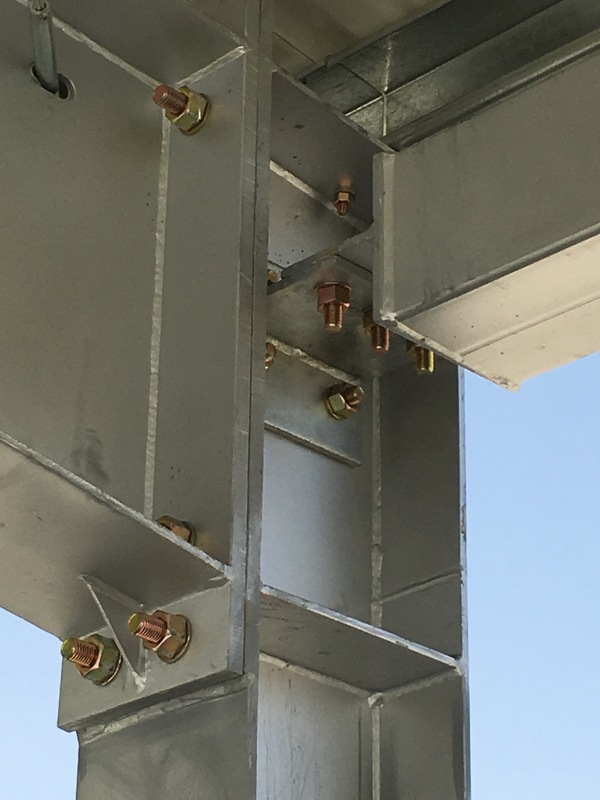 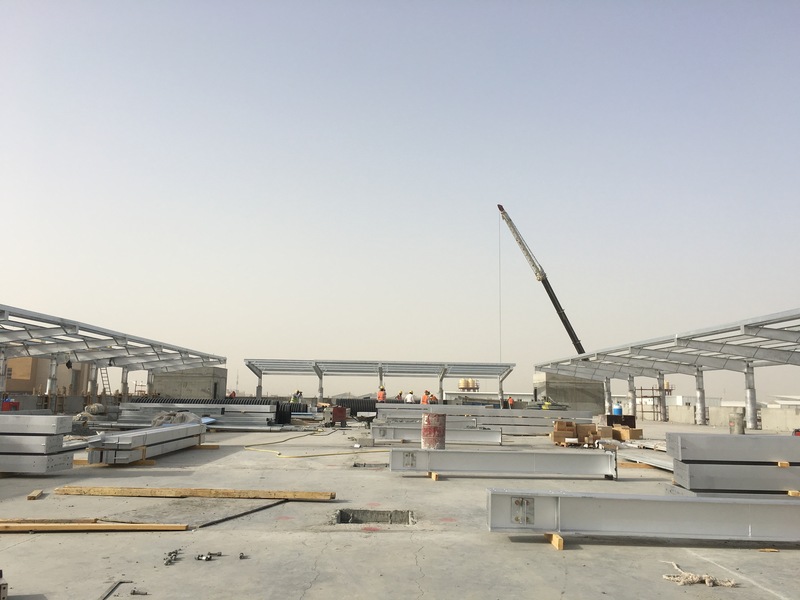 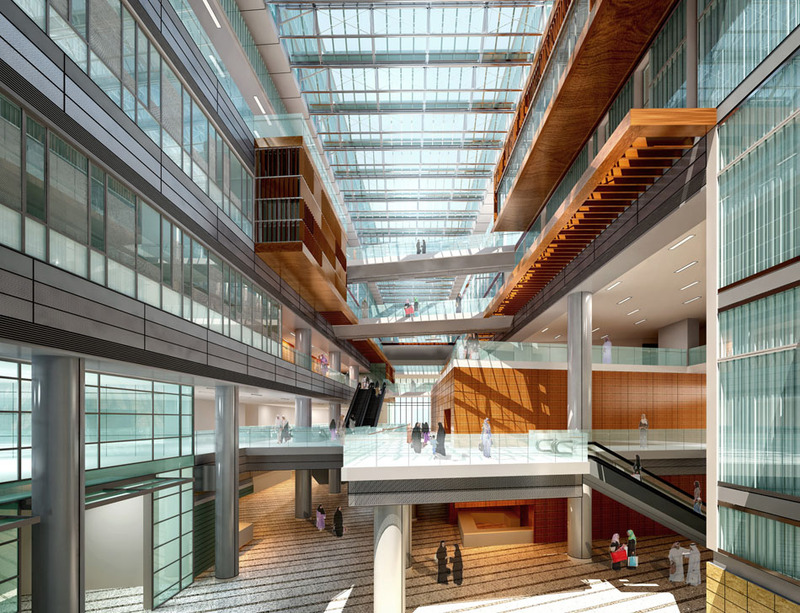 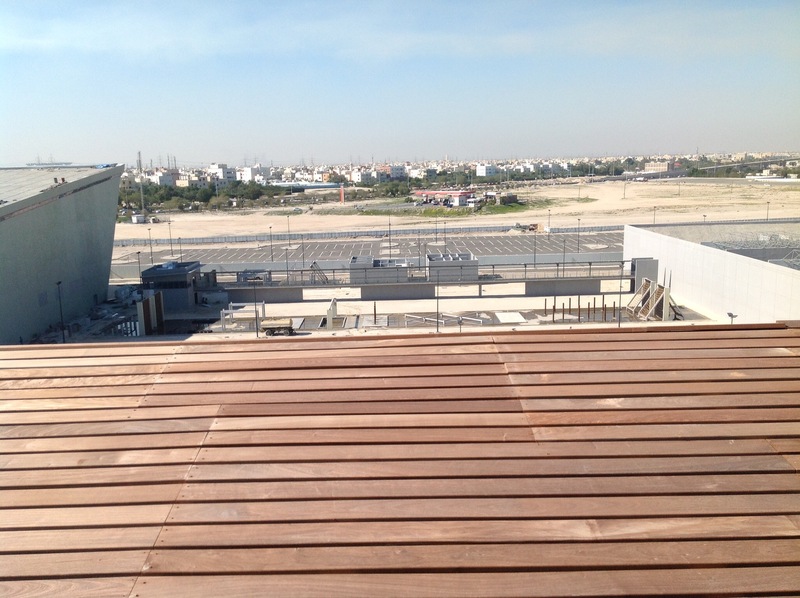 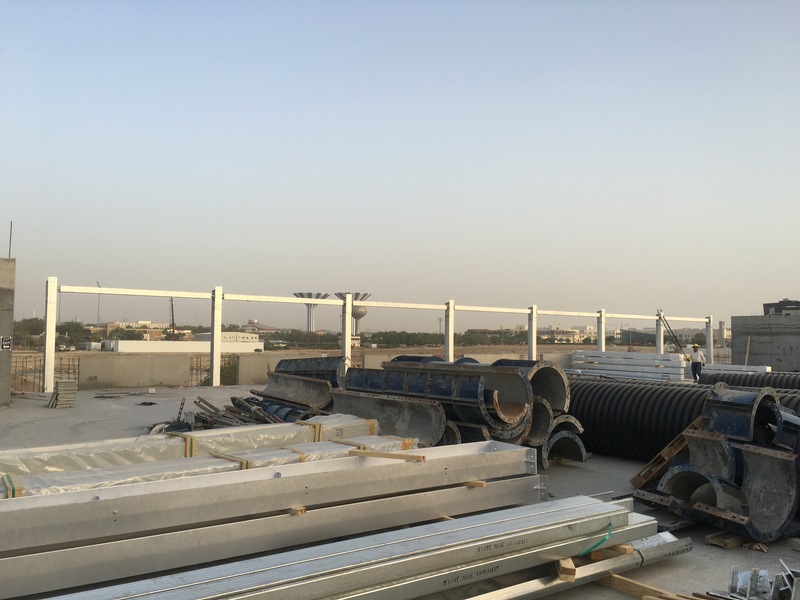 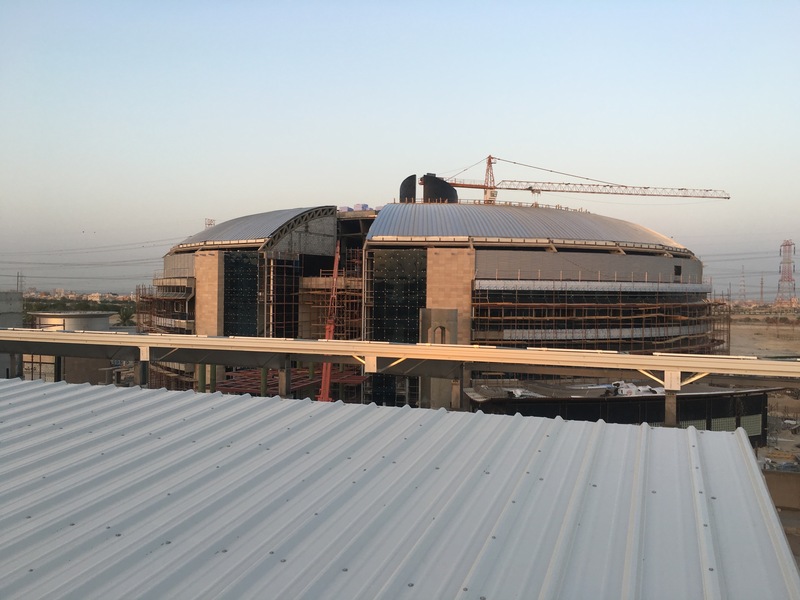 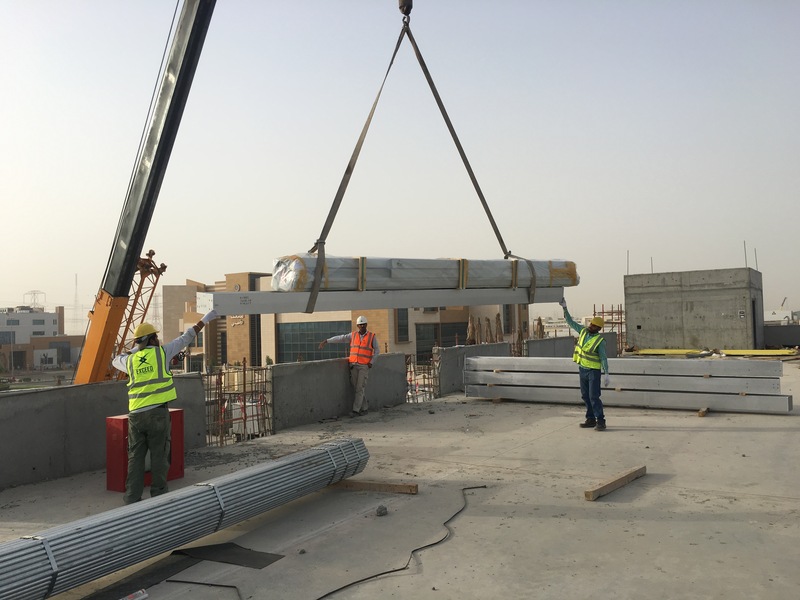 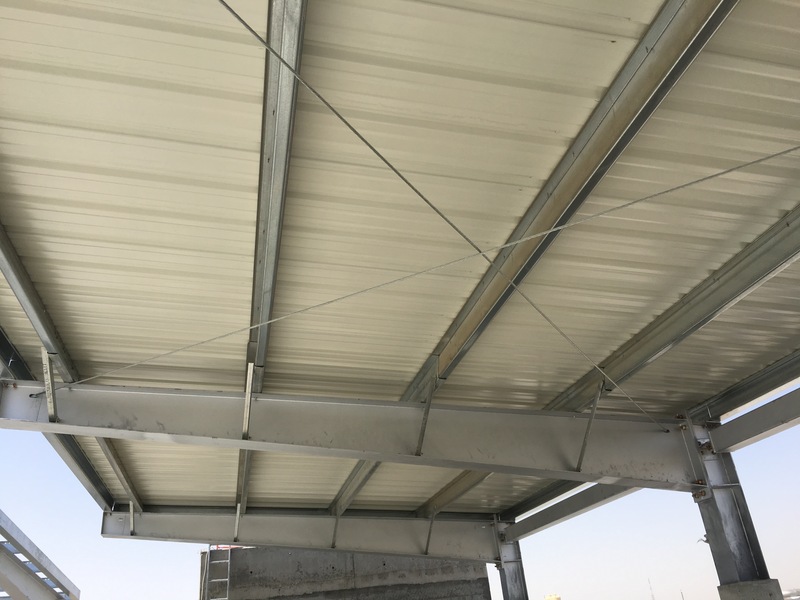 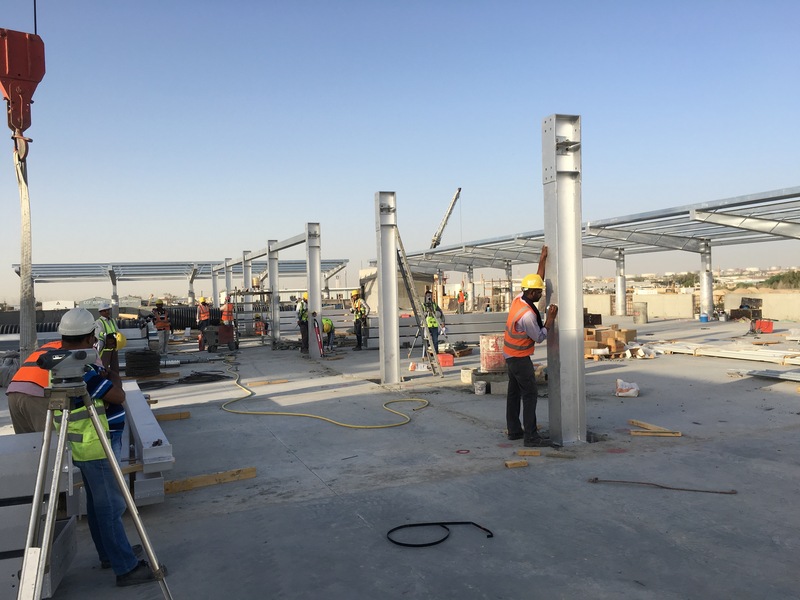 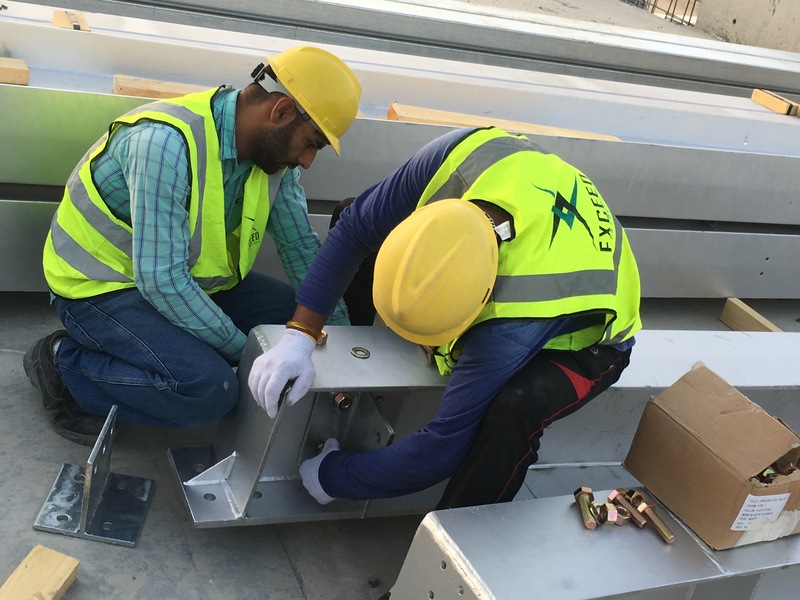 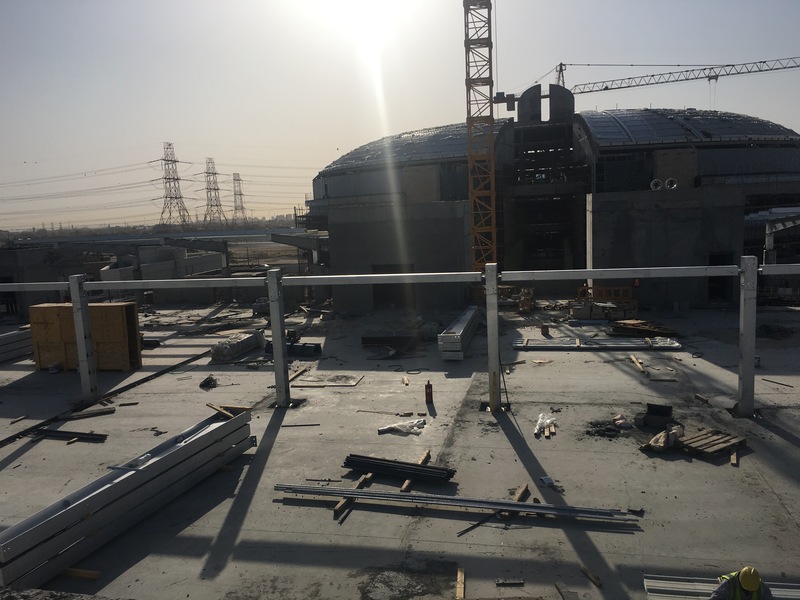 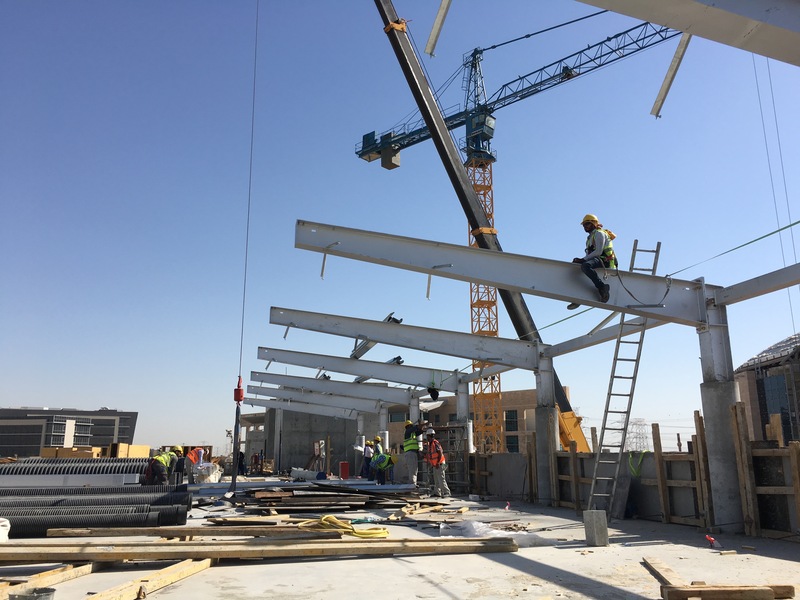 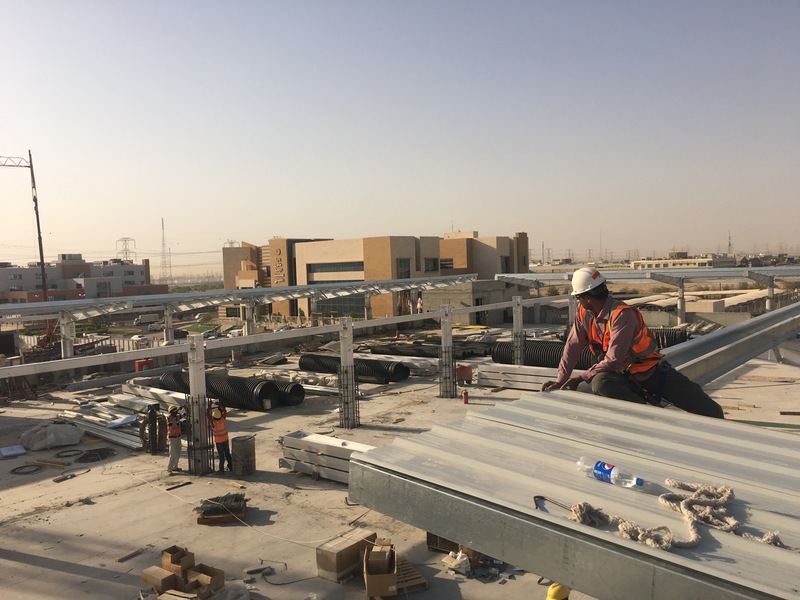 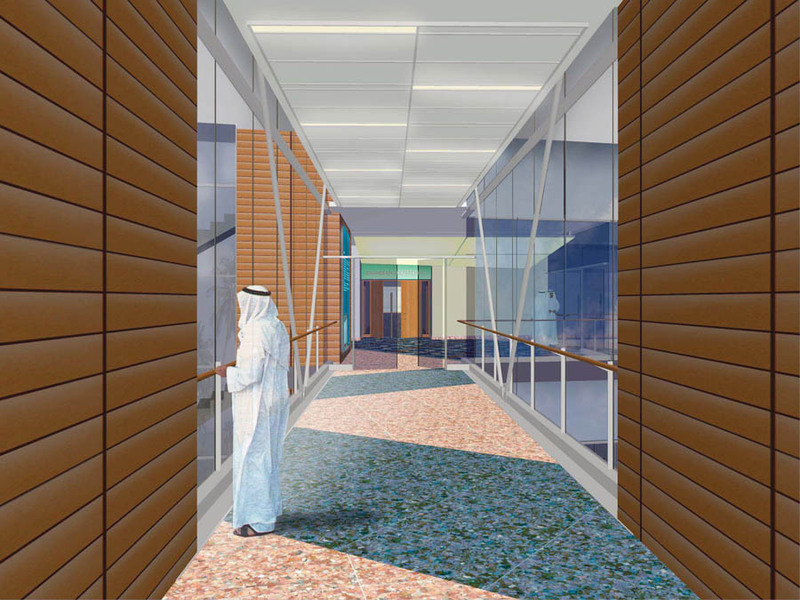 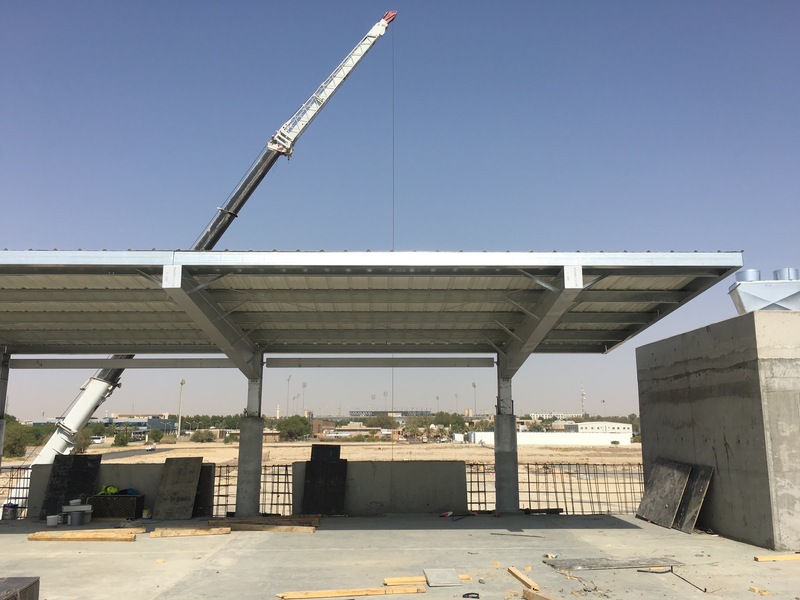 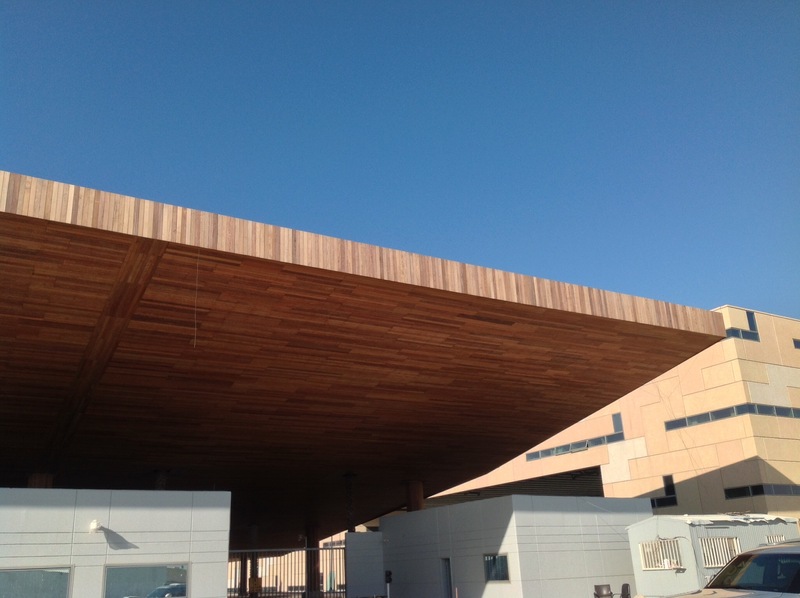 Connection design, Fabrication, Delivery, Installation, Erection and Maintenance of all Structural Steel Buildings at the Kuwait Police Academy. 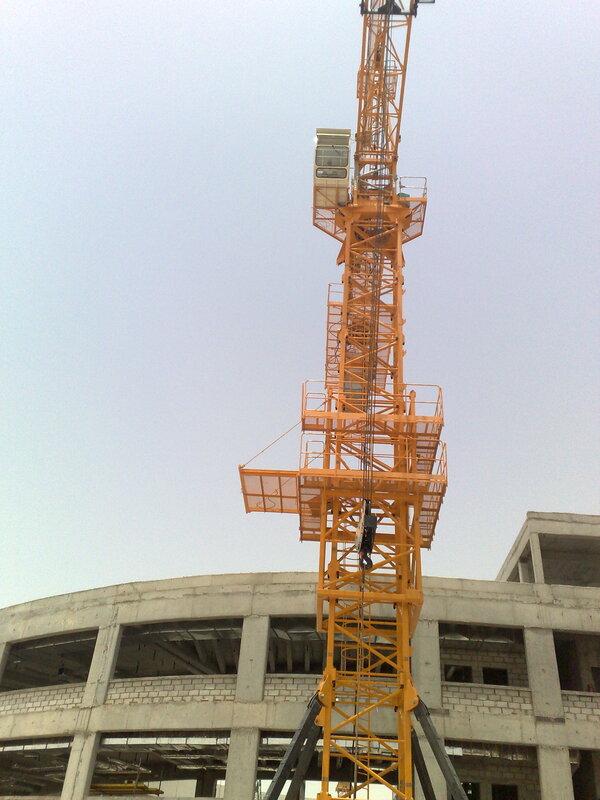 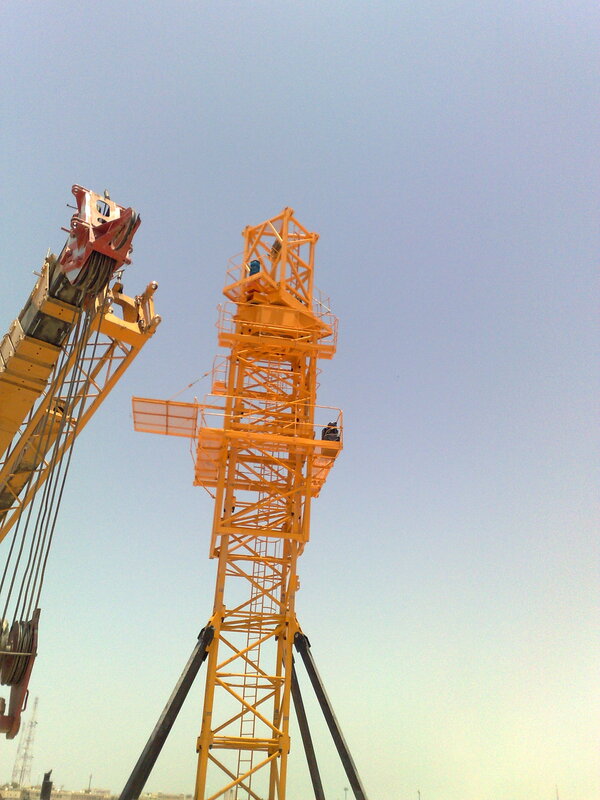 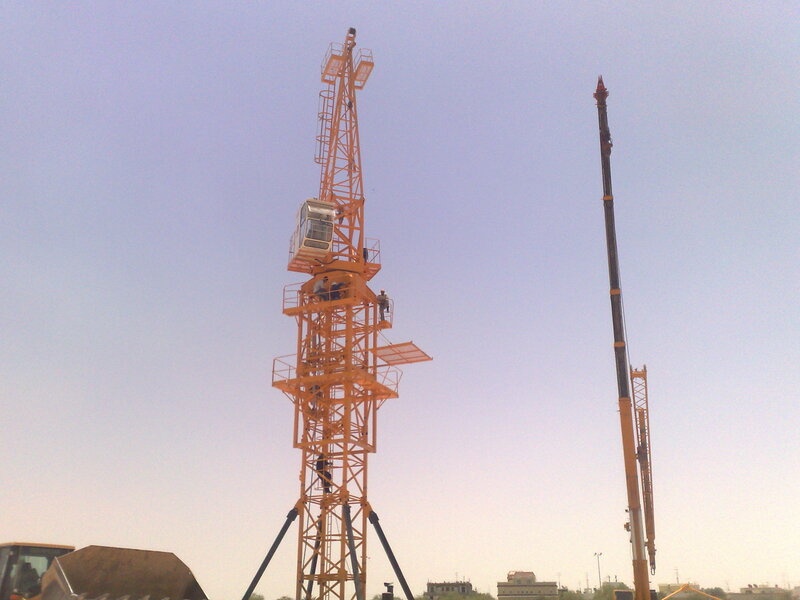 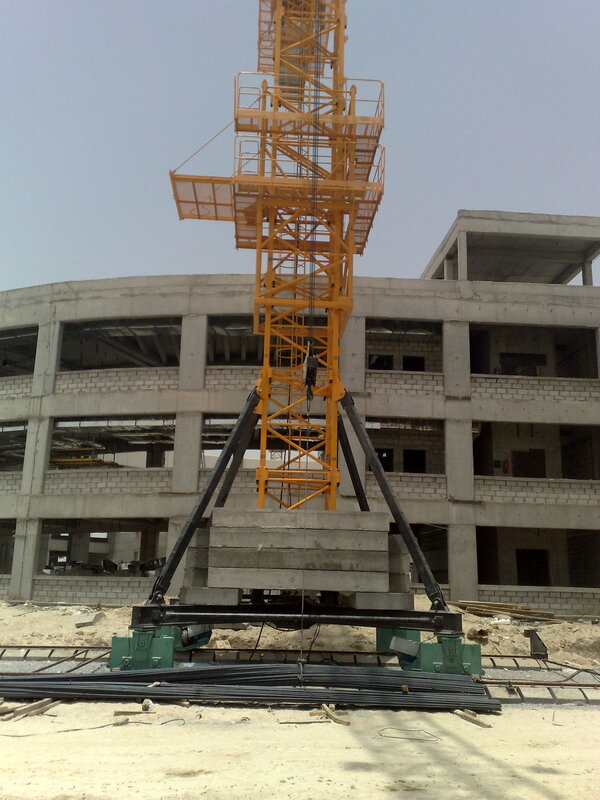 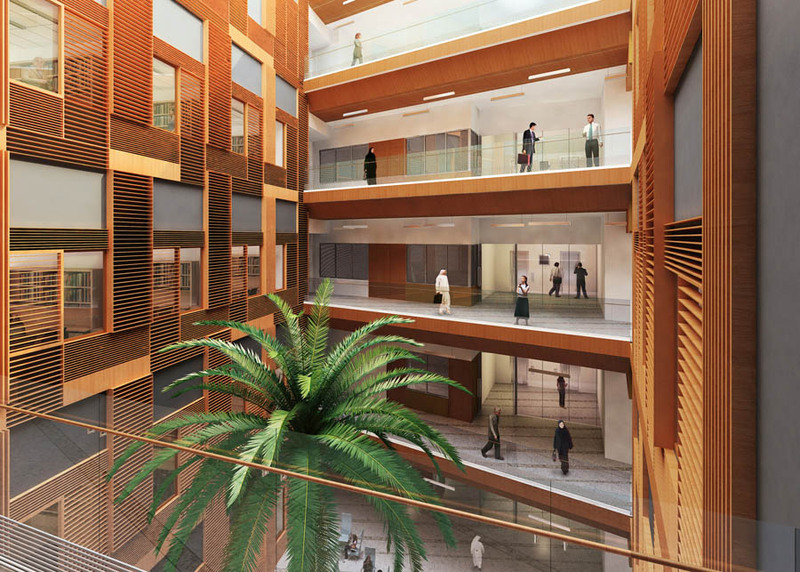 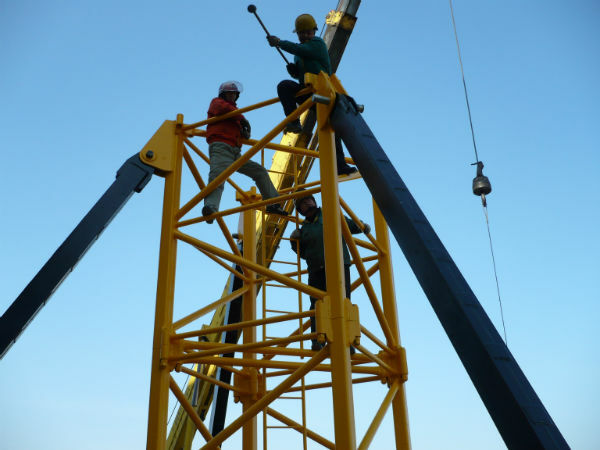 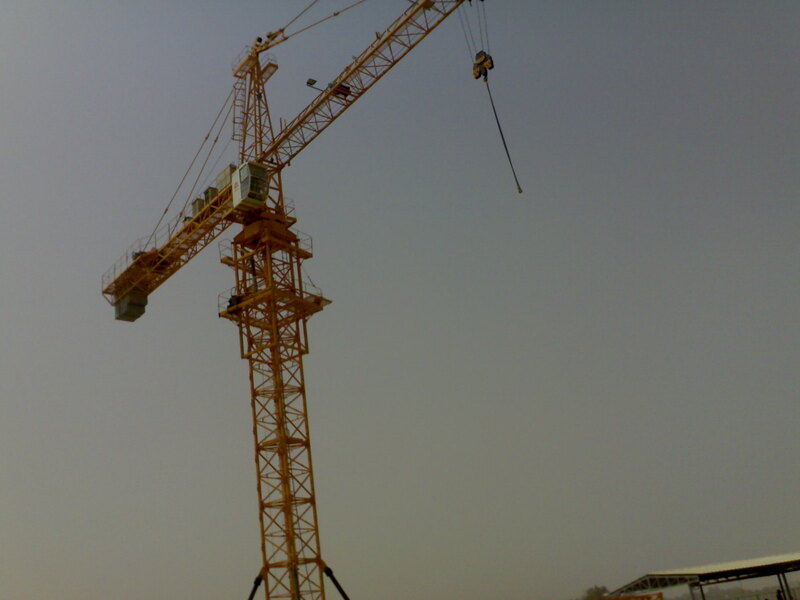 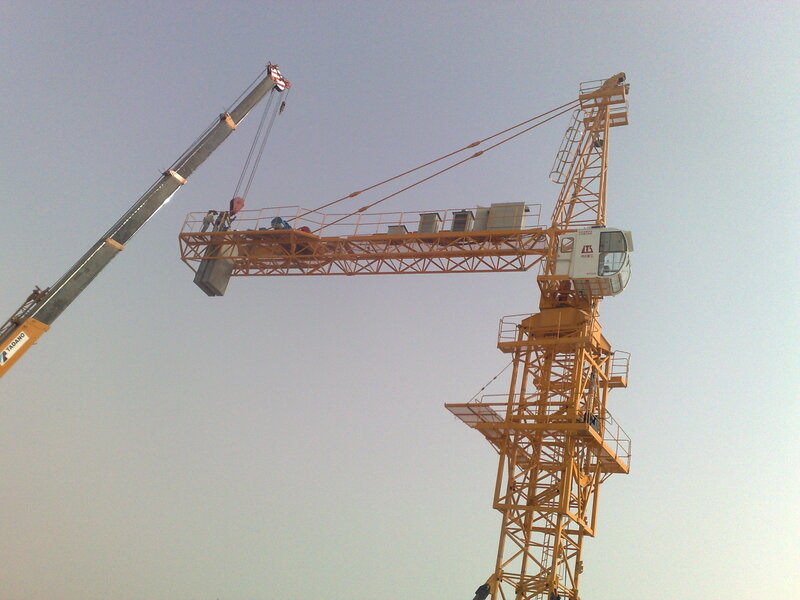 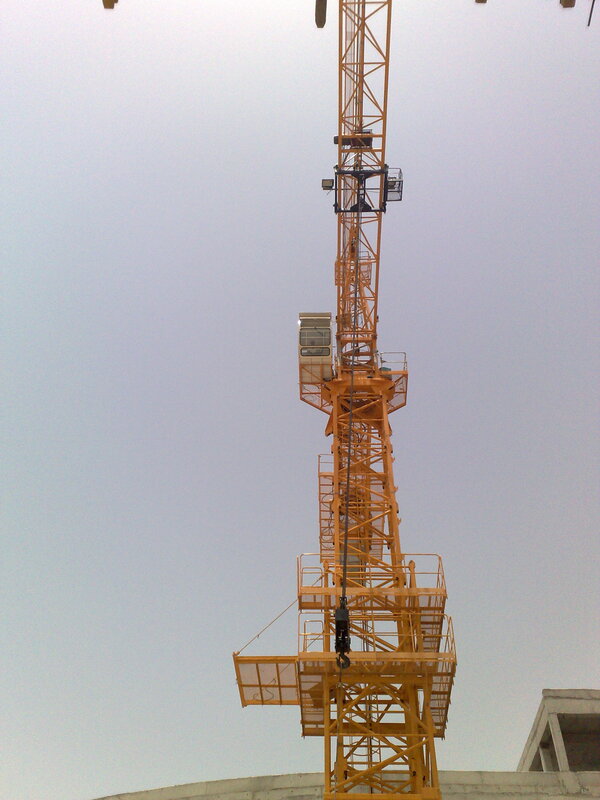 Supply & Installation of Tower Cranes & Overhead Cranes at the College of Business Studies. 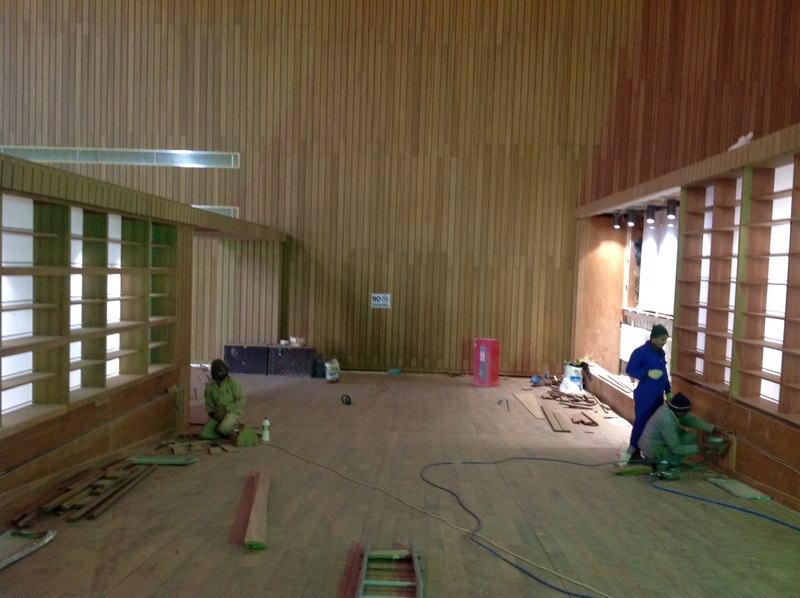 Supply & Installation of Division 6 Complete Architectural Woodwork & Millworks . 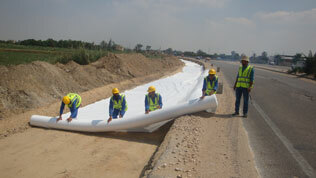 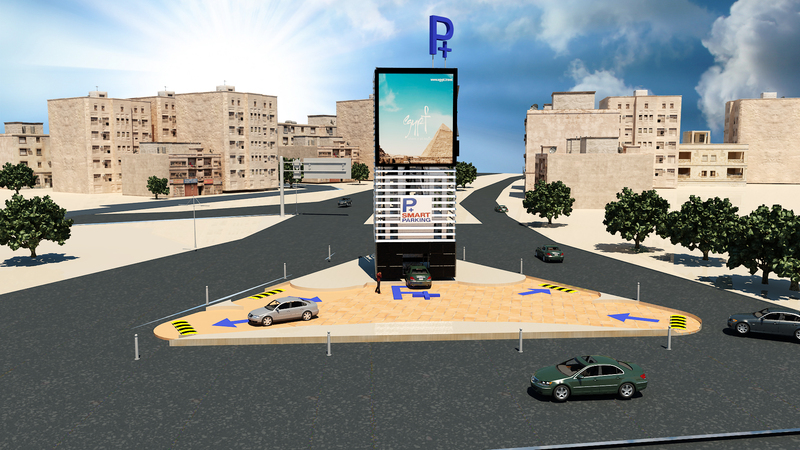 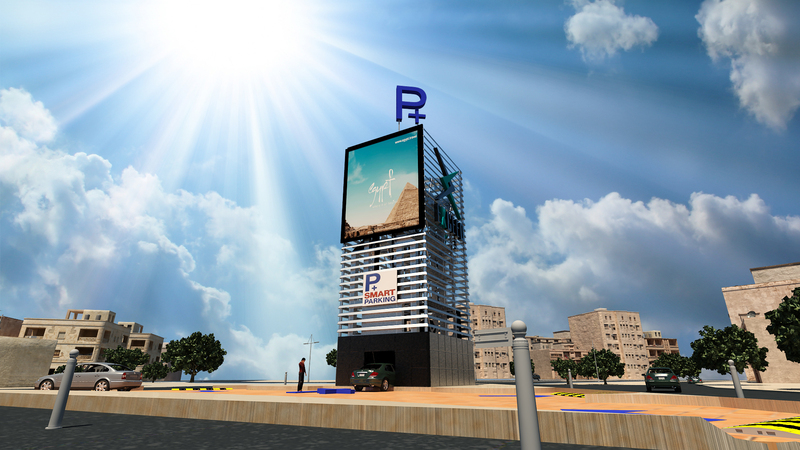 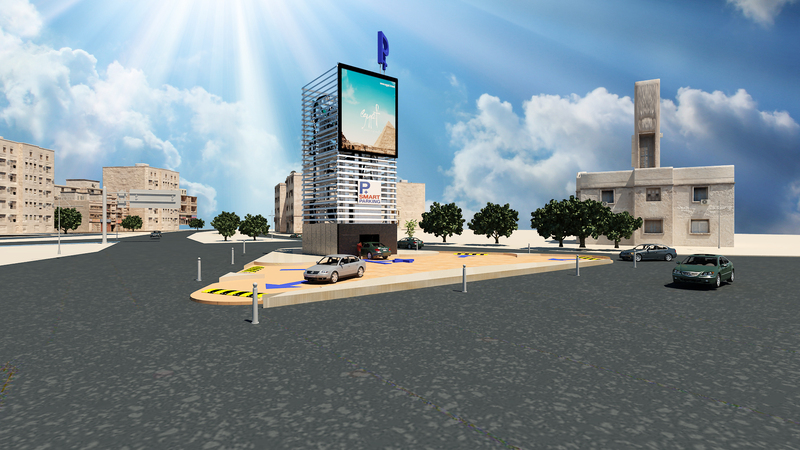 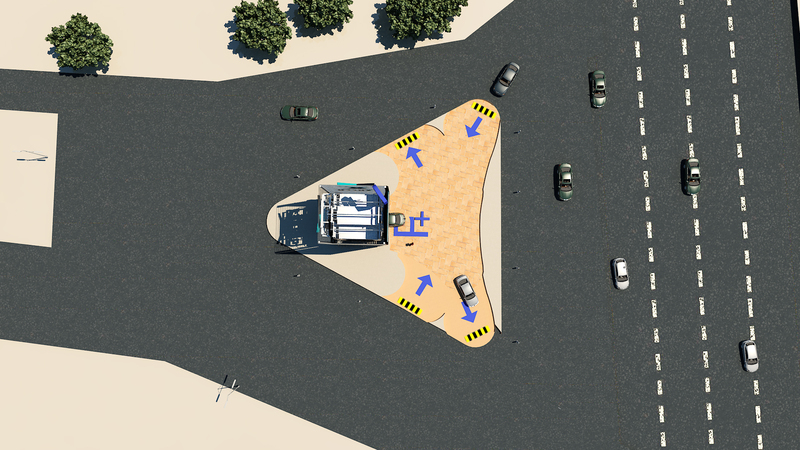 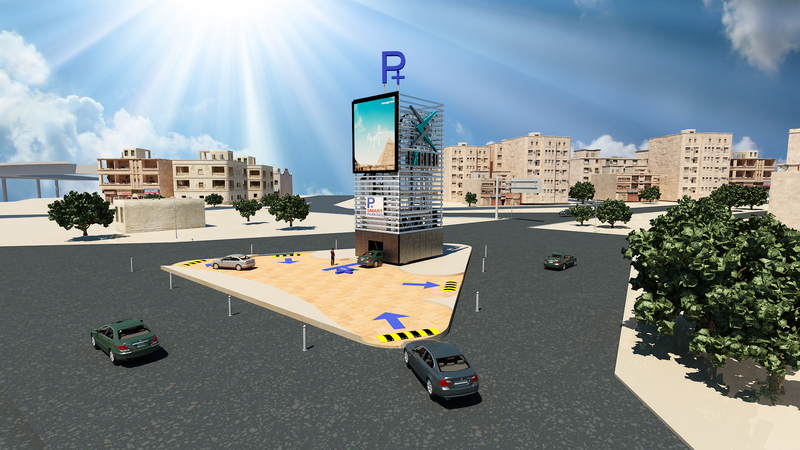 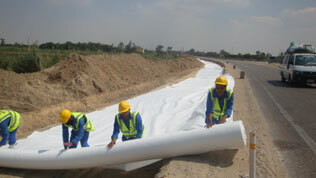 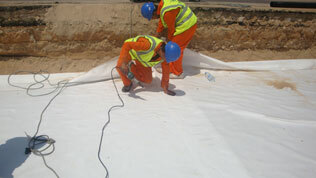 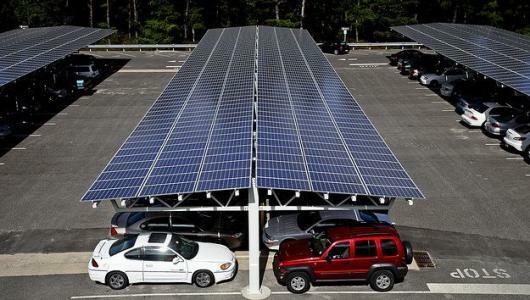 Supply, Installation, Maintenance & Operation of Smart Parking Unit in Heliopolis.